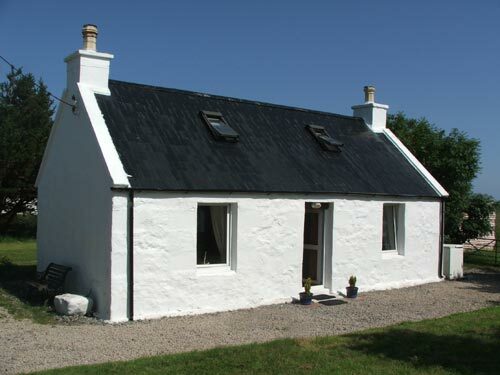 Marishader Cottage is a delightful, three star, traditional, stone built croft house situated in its own enclosed garden within the small crofting township of Marishader in the stunning Trotternish peninsula. 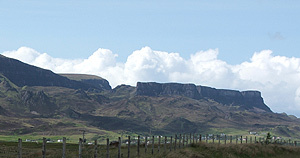 Situated some 2.5 miles from Staffin and 18 miles north of Portree it is an ideal location to get away from it all. The Quiraing and Old Man of Storr are near by for those who like walking in stunning scenery, whilst close by are two local shops, the Columba 1400 centre and Staffin Beach (can you find the dinosaur footprints?). See our links page for more ideas. The cottage, which is suitable for 2 guests only, is normally available to rent all year round and you can book on-line for a 7 night stay. For prices and availability for a short stay, minimum 3 nights, please contact us.